Sandy Gresham, a recently retired science teacher and environmental education coordinator, used PLT to completely transform Lowcountry Preparatory School in Pawleys Island, South Carolina. 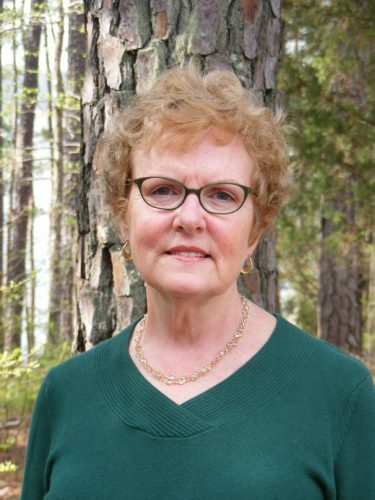 After becoming a PLT facilitator, Sandy helped change Lowcountry Preparatory School’s curriculum to fully incorporate PLT as a major component, adopting environmental education as the overall vision. She trained the entire faculty in the use of the PLT curriculum, helping teachers in all subject areas incorporate environmental themes into their classes. Sandy also organized a PLT workshop for early childhood educators in coastal area school districts and worked with a middle school in another part of the state to become a PLT School. Sandy was then asked by her school’s board of directors to serve on the search committee to select a new head of school committed to environmental education as a core value. Through Sandy’s efforts, Lowcountry Preparatory School became a South Carolina PLT Environmental School and is now part of PLT’s GreenSchools initiative, in which students take the lead in investigating and helping to improve their school environment. Sandy also worked with students in various clubs to develop two outdoor classrooms and a trail around their school campus. Now that she has retired, Sandy trains teachers in McCormick to use PLT and is serving as vice chair of the South Carolina PLT Steering Committee. Sandy was named National PLT Outstanding Educator in 2011, as well as being a National PLT Outstanding Educator Honoree in 2010. Amber Hodges is a project associate for the Virginia Cooperative Extension in Roanoke, Virginia, who provides programming to about 1,800 K–12 students per year.